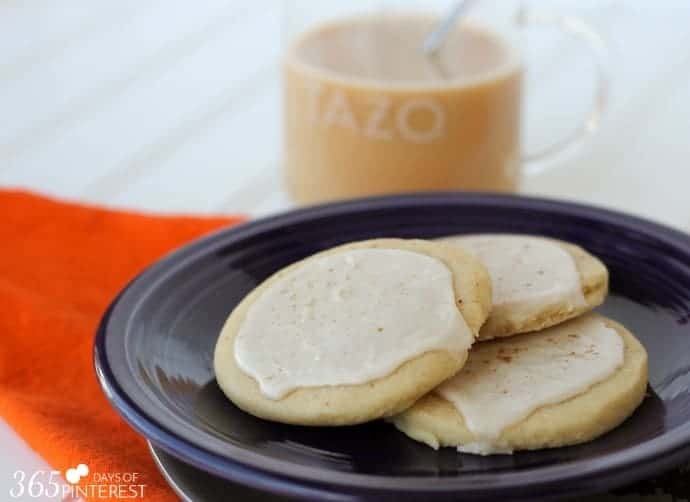 Enjoy a spicy and sweet escape with these easy-to-make Chai Glazed Shortbread Cookies and a mug of creamy chai latte! It’s the perfect afternoon snack. Too late for lunch, too early for dinner, but I need something. I’m hungry, my brain needs a break from staring at a computer screen all day, and a caffeine boost would certainly be appreciated. Enter one of the best things to have happened to our kitchen: our Keurig® and the happy little wheel next to it full of coffees, teas, hot chocolates and iced drink mixes. YAY! Time for my afternoon pick-me-up! 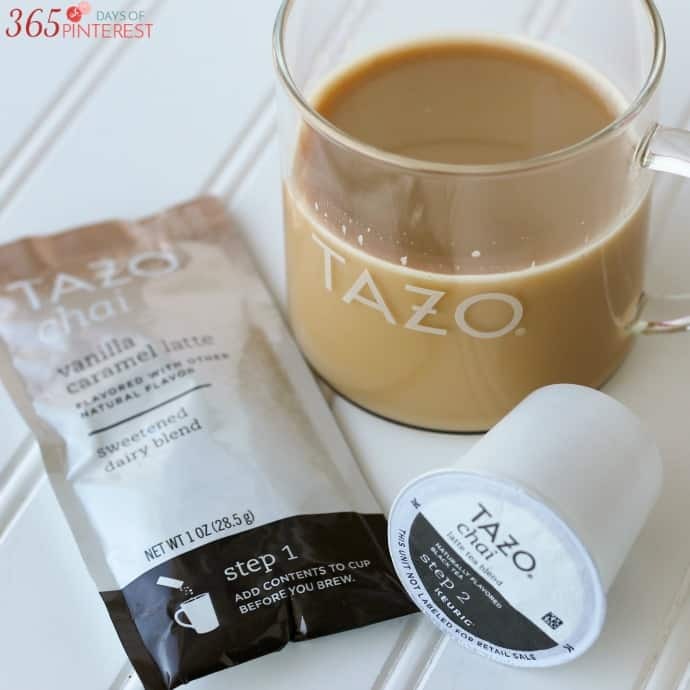 I just got a package of TAZO® Chai Latte K-Cup® pods and they are perfect for a sweet treat in the afternoon. I’ve seen Chai tea all over the place, but never tried it before. It’s an Indian blend that’s a little spicy and a little sweet with black tea, cinnamon, ginger, cardamom and vanilla flavor. With such a powerful and creamy blend, I knew it needed to be paired with something simple and delicious for the perfect afternoon snack. And thus, my Chai Glazed Shortbread Cookies were born! While the cookies are cooling on a wire rack, prepare the glaze by mixing the latte and powdered sugar with a whisk until smooth. Add more liquid to thin out the glaze, or more powdered sugar to thicken it. Spoon the glaze over the cookies once they are cooled and allow to set for a few minutes. Sprinkle with a little cinnamon if desired. 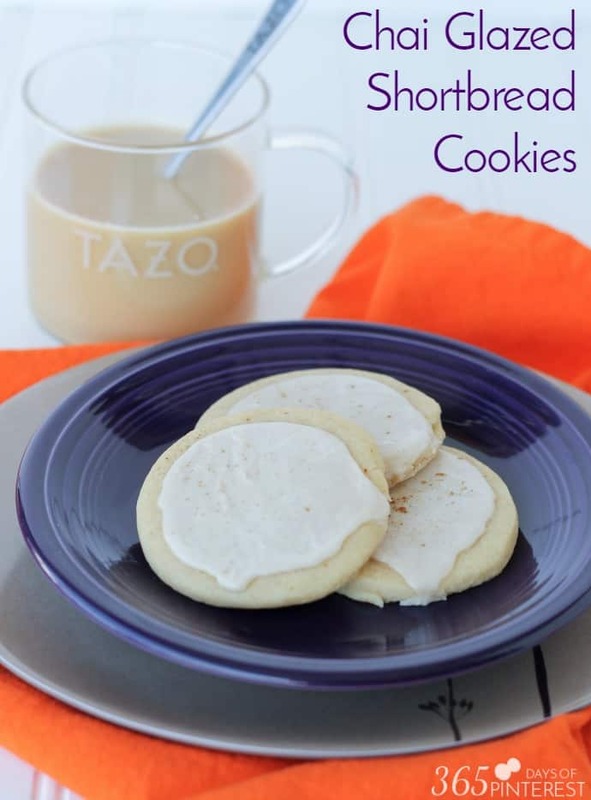 Serve with a warm mug of TAZO® Chai Latte. Yum! The glaze is really more of a guessing game than an exact science. I start with the basic measurements and then add more as I go along, depending on if I want something more like a frosting or something thin like a glaze. It’s entirely up to your taste preferences. 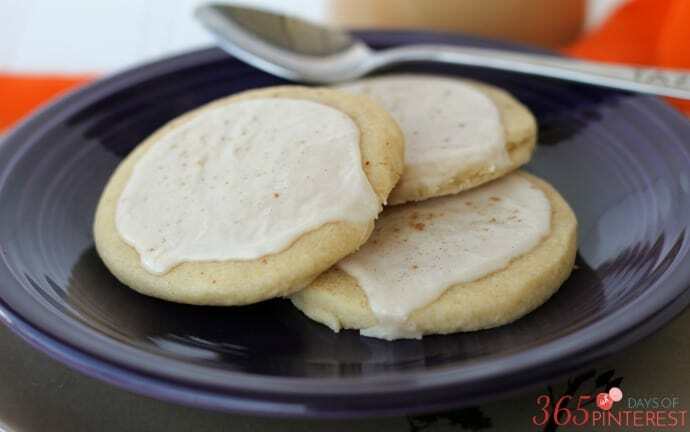 The more chai latte you use, the more spicy and flavorful the glaze will be. TAZO has partnered with New York Times Bestselling author and host Padma Lakshmi to celebrate the release of the new K-Cup® pods. 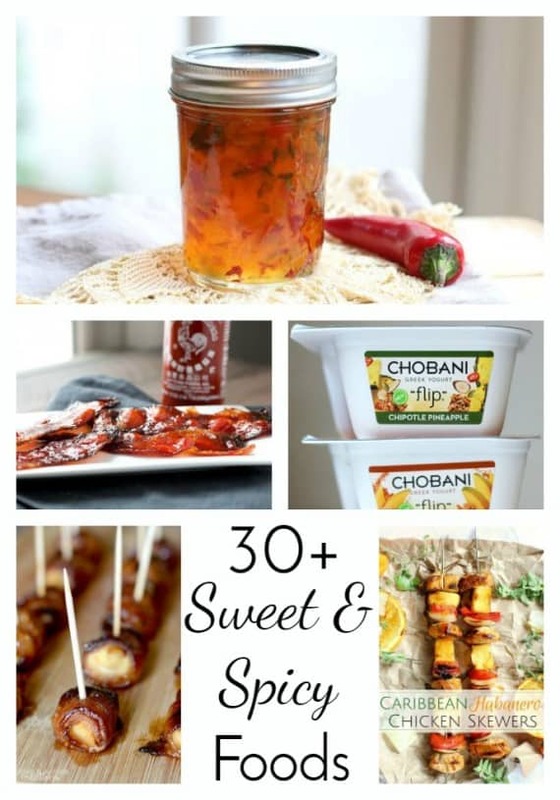 Learn more at TAZO.com/chai including where to find them and get ideas for more great sweet and spicy pairings by visiting TAZO.com/chai/pairings. Personally, I think the toast with manchego cheese & spicy jam sounds delicious! 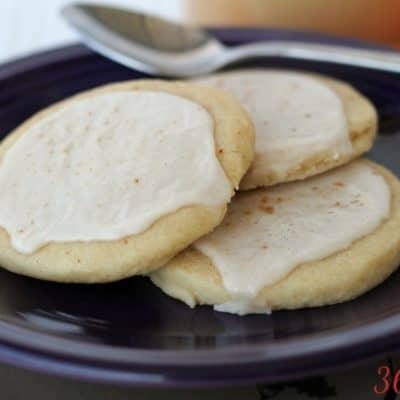 If you like these Chai Glazed Shortbread Cookies, check out these other sweet and spicy recipes! 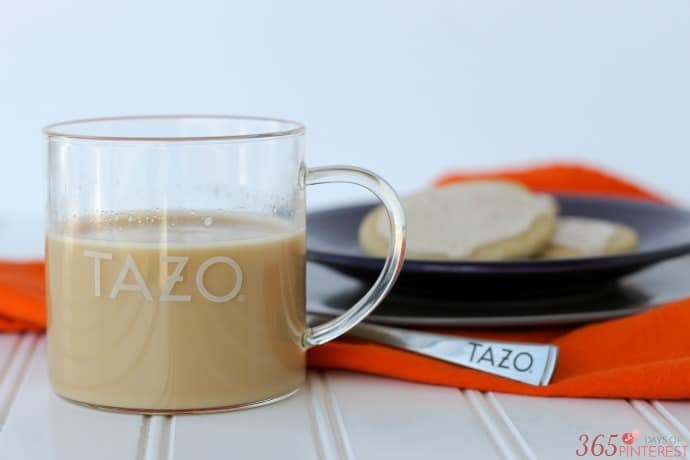 I am a huge fan of Tazo Chai! I’ve always just bought the tea bags though, I’m going to have to look for the k-cups! These look so amazing! I love trying different types of cookies, so I am definitely go to add these to the list! I love chai! Love the idea of this cookie! Wow- those cookies look delicious! I haven’t made cookies in ages. What a great break for you. 3:00 is a hard time for me too. I don’t want to eat too much, but just something. Your cookies sound so good and simple. Perfect. I’ve never had chai tea or lattes, but they sound like a pick me up for sure! I love a good cookie! These sound so good! 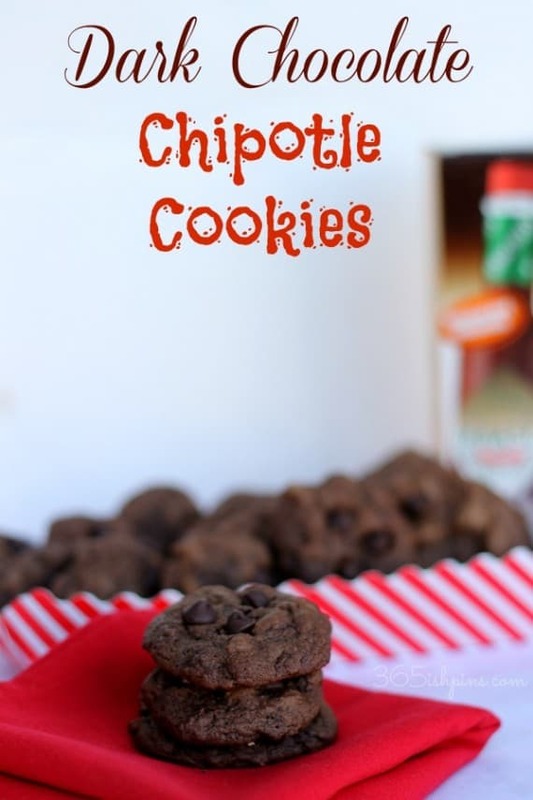 What a great idea to give the cookies a bit of a kick and new flavor!! Oh I love these cookies. I don’t love things that are over the top sweet and this glaze sounds like just the right amount of sweetness.